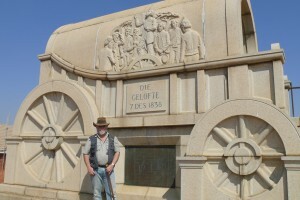 Yes, that is me, standing next to the Covenant wagon at the site of the Battle of Blood River. Like I have said, I tour any Natal battlefield you can think of, (that is not further than a day’s ride, I should add) and I do it because I am an ambassador of my people’s history, despite what many out there may think. I am a qualified military historian, and yes, our battlefield tours do not come cheap. We are not bargain basement material. We are among the best in the world at what we do, and that had been said quite a few times in the past. I will not give you a politically – tainted version of my story. I have absolutely no political affiliation in this country. That is what I told the Praetorian Guard at the Voortrekker Monument when I did my presentation on our history, as well as the concomitant tale of that Warrior Nation, the Zulus. Come along. Lets go and the Great Shaka, Dingiswayo, Piet Retief, young Woods, Dingane, Andries Pretorius and that little Gideon’s band of his, at Ncome, the unfortunate colonel Pulleine, the brash Durnford, those heroic redcoats of the 24th and those indomitable warriors of iNkosi Ntshingwayo ka Mahole Kosa… Stand by for fireworks. Thank you fo reading my post, and feel free to comment. Also find us on Facebook. 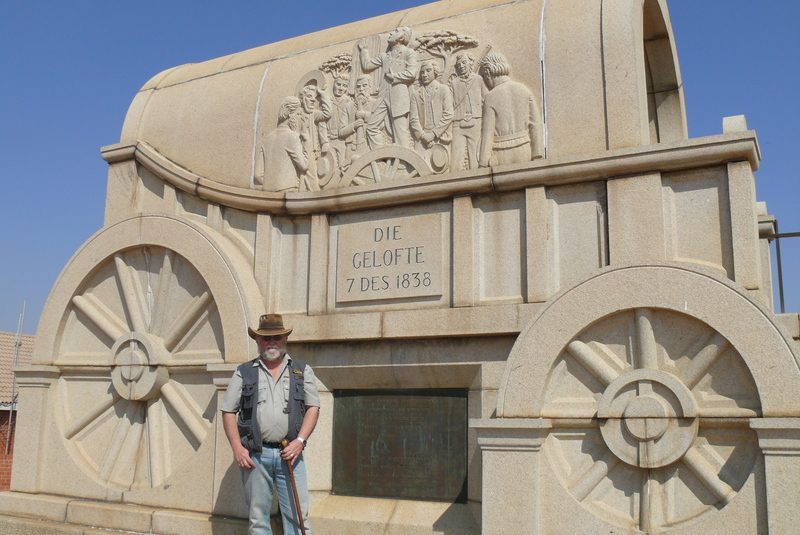 This entry was posted in Battlefield Tours, Personal, Tourism, Travel and tagged battlefield guide, Blood River, Johann Hamman, South Africa. Bookmark the permalink.